Henry Immerwahr (1916-2013) was born in Breslau, Germany (now Wroclaw, Poland). While studying at the University of Florence (1934-38) he received a fellowship at the American School of Classical Studies in Athens, where he met his future wife Sara (“Sally”) Anderson (1914-2008). 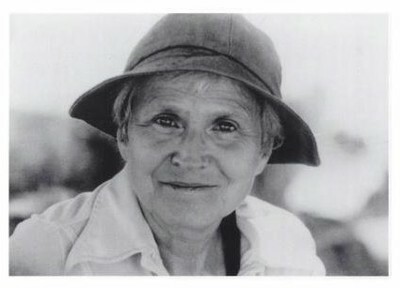 Sally had received her BA in Archaeology from Mount Holyoke in 1935, and was at the time spending two years at the American School while working on her PhD at Bryn Mawr. From Athens, Henry immigrated to the US, where he received his PhD from Yale in 1943. Sally returned to Bryn Mawr, receiving her PhD in the same year as Henry, and then taught for several years at Wellesley. The couple married in 1944, during Henry’s two years of service in the US Army. After the war, Henry taught at Yale for ten years, and Sally moved to New Haven to join him. 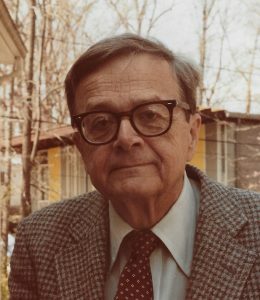 In 1957 Henry was the faculty at UNC, and the couple moved to Chapel Hill. There, Henry solidified his reputation as an authority on Herodotus (Form and Thought in Herodotus, 1966) and was promoted first to full Professor (1963) and then to Alumni Distinguished Professor (1975). Although Sally did not initially have a teaching position, she received a fellowship that enabled her to begin her work on the Neolithic and Bronze Age material from the American School’s excavations in the Athenian Agora, which she published in 1971. By that time she had returned to teaching in the Department of Art, where she was promoted to full Professor; together with Emmy Richardson, Henry and Sally helped establish the PhD program in Classical Archaeology. In 1977 the couple retired and moved to Athens, where Henry served as Director of the American School and Sally, as Senior Research Fellow, worked on her book on Aegean painting in the Bronze Age. In 1982 they returned to Chapel Hill, where they continued to take an active part in the life of the Department and to work on their research. On Henry Immerwahr, see the more detailed account here; on Sally Immerwahr, see here. The Henry and Sally Immerwahr Fund was established in their memory in 2016 by their friend and colleague Edwin L. Brown (1929-2017), who taught in the Department from 1961 to 1999, rising through the ranks from Instructor to Professor; see further here. The fund provides crucial support for graduate students in the Department of Classics, with preference given to graduate students studying Classical Archaeology. In recent years we have used the fund to provide travel grants to graduate students taking part in archaeological field projects. Please consider making a gift online to the Henry and Sally Immerwahr Graduate Student Excellence Endowment Fund (104501).